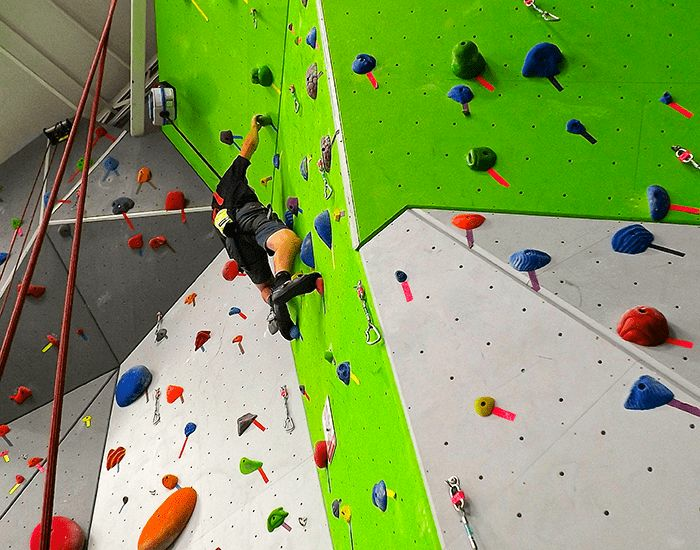 The Nook Climbing Gym has uniquely designed walls reaching 30 feet in height. 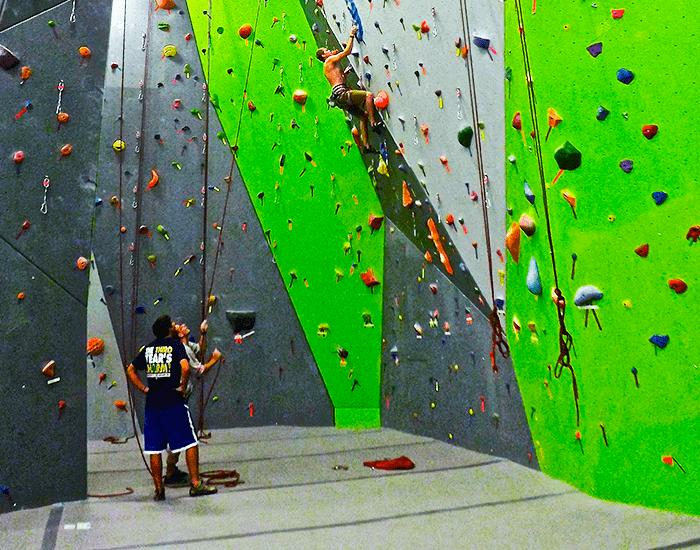 Experienced climbers and beginners alike will enjoy scaling the diverse routes of this premier climbing center. The freestanding boulder offers unique angles and features creating routes of all difficulty levels. There is no need to be a member to climb in the gym. All climbers under 18 must have a waiver signed by a parent or guardian to be eligible to climb. 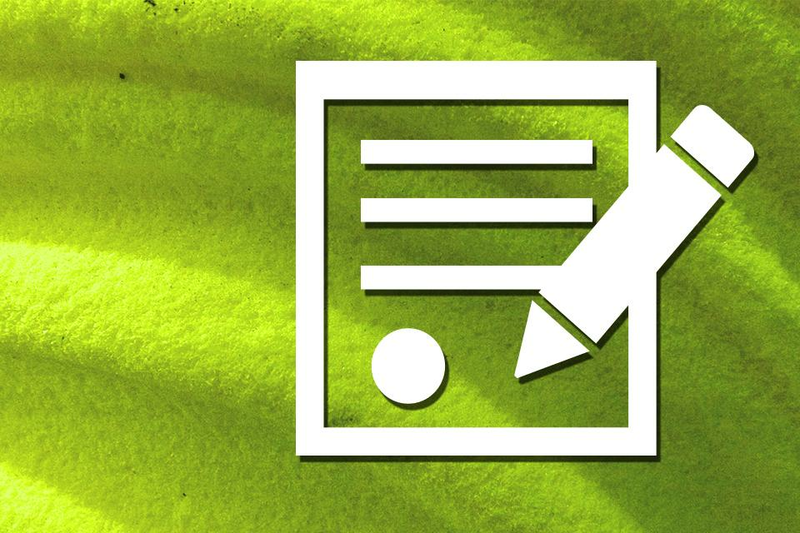 Click here to complete our digital waiver and expedite your check in process. April 2019 Members of the Month! The Nook Climbing Team (NCT) is designed for competitive youth climbers. 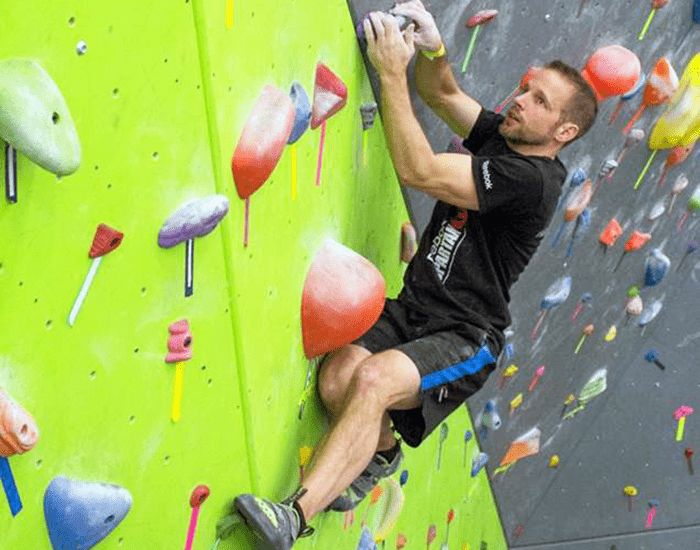 NCT members will work with experienced, dedicated coaches to develop climbing technique, build strength, endurance, and improve their overall understanding and appreciation for the sport. NCT members will train both on and off the wall throughout the season. Part of the NCT member development is working with the Nook’s Sports performance trainers to improve climbing specific strength and conditioning. 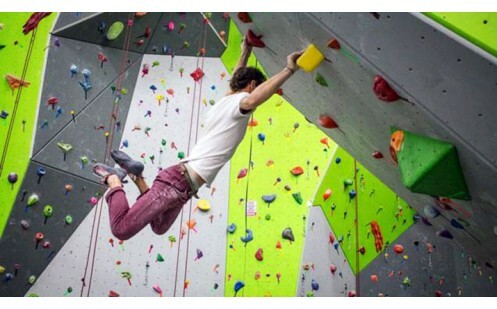 NCT members will travel and compete in both local/regional bouldering competitions throughout the season. 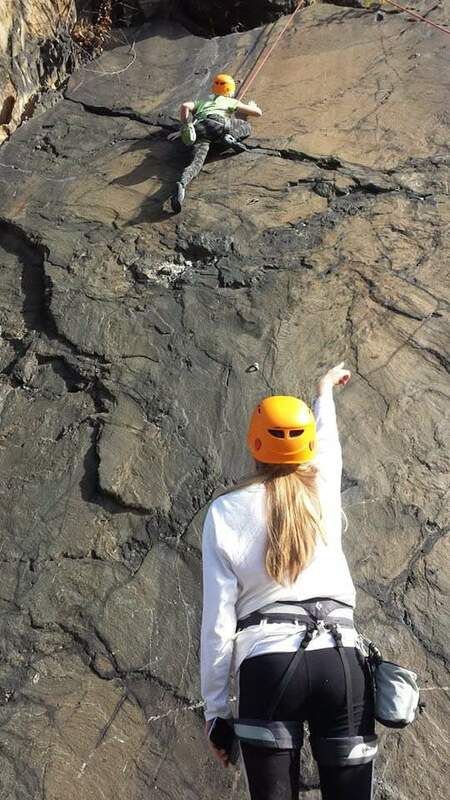 Additionally, climbing team members will have the opportunity to participate in weekend outdoor climbing trips throughout the season. 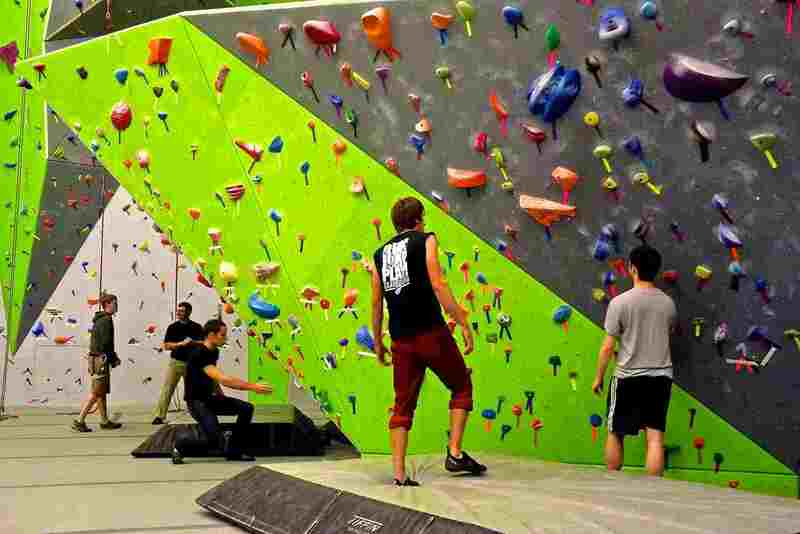 Climbers must be well behaved individuals who are highly motivated to progress their climbing skills. Previous climbing/competition experience required! All interested individuals must try out for the team. You do not need to be a member to climb for the day! The Nook Intro Lesson will give you the knowledge you need to have a fun and safe time climbing! This 2-hour course will teach you how to put on a harness, tie in, and use a belay device as well as climbing technique and strategy. All children under the age of 18 must have a waiver signed by a parent or guardian. Anyone under the age of 13 must be accompanied by an adult at all times. For those who have been climbing on rope and want to experience the sharp end, this class is for you! The class will cover the “dos and don’ts” of lead climbing, technique, rope management as a climber, belay technique and rope management as a belayer. Equipment rentals, a day pass and instruction are included. Days/Times: By appointment, contact us to make a reservation. This class is for those who have been through our top rope class and are now working to take their climbing skills to the next level. The class will cover more advanced climbing movement, technique and skills including heel hooks, toe hooks, rest positions, lock offs, smearing and more. Equipment rentals, a day pass and instruction are included. 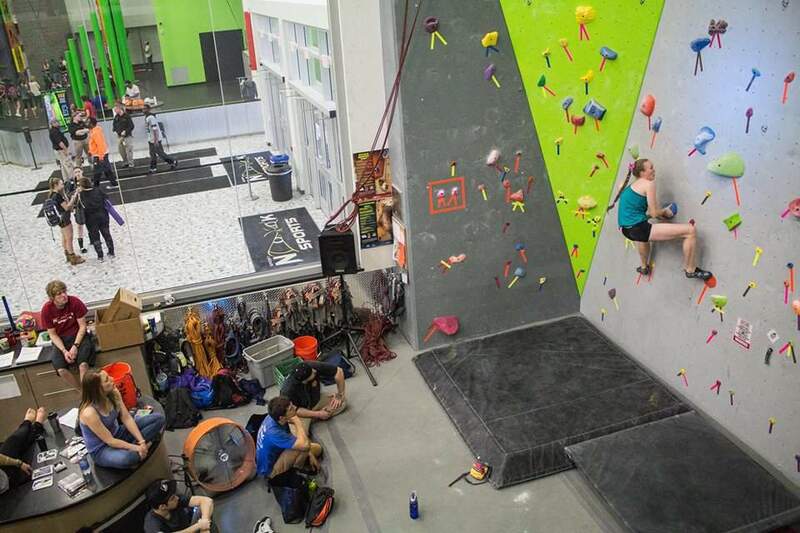 This class is intended for climbers at levels 5.8 – 5.10. 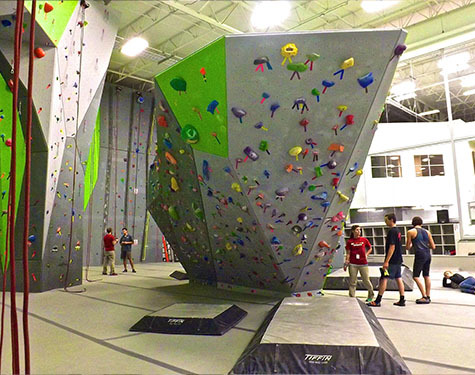 Take a break from your course load and come to college night at Spooky Nook’s climbing gym! All college students with a valid college ID get half off day passes and equipment rentals! Tired of climbing with the boys? 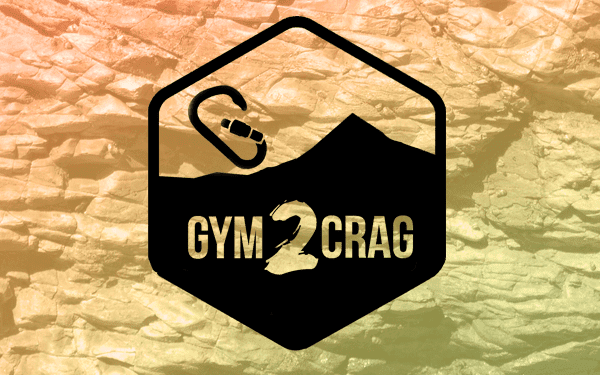 Then come join our growing female climbing community for a night of sends and friends. New to rock climbing? No problem! We have climbers of all different experience levels, ages and areas of expertise. We also have wonderful instructors to answer any questions. Bring friends! Ladies get all rentals and day passes half off! Every Sunday is family day at The Nook’s climbing gym. 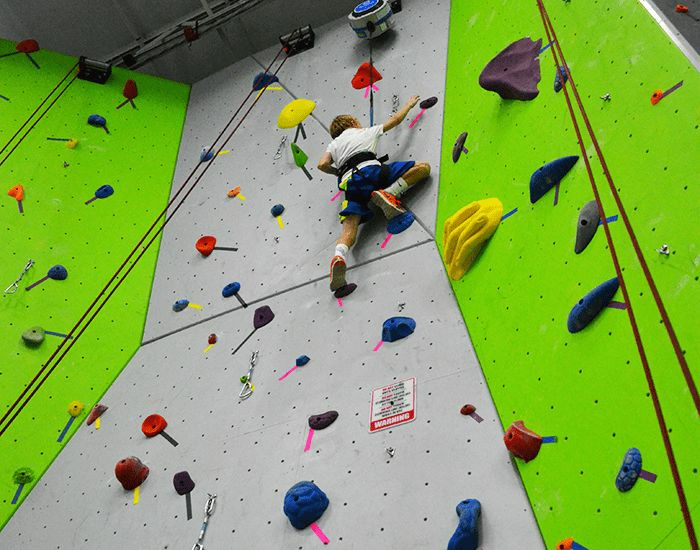 Get your family together for a fun, memorable day of climbing! With the purchase of an adult day pass, kids under 6 climb for free and kids ages 7-13 get half off day passes and rentals. The Spooky Nook Adventure Department offers custom designed team-building programs. Whether you are a team of athletes, a corporate group, or a small organization looking for a unique team-building program, we have something for you! Our experienced facilitators and staff will create a custom experience that will focus on developing trust, communication, leadership, and problem solving skills within your group. Through a series of fun and challenging games, initiatives, and activities throughout our climbing facilities, we will help develop team concepts and enhance group dynamics! Programs vary from one to five hours in length. Prices are determined based on group sizes and length of experience. Group sizes are limited to 20 participants per program. Contact us with questions or to set-up a date for your team-building program. 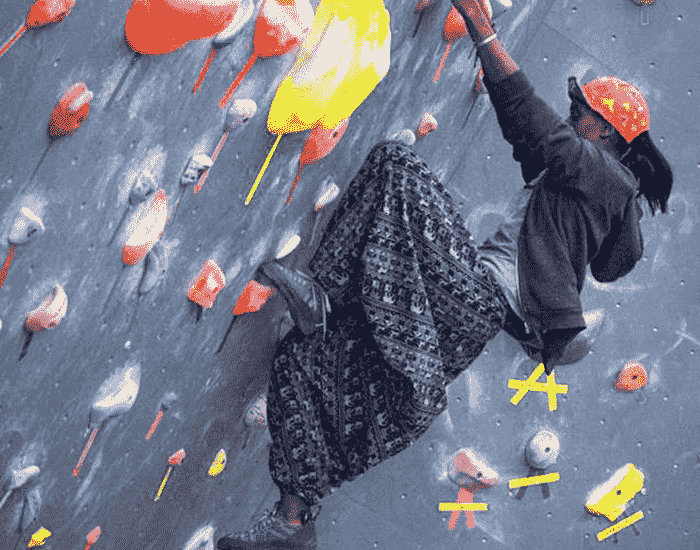 This climbing clinic is designed to help transition gym climbers to the outdoors in an environmentally and socially conscious way. Call us to check instructor availability at 717.618.8519.